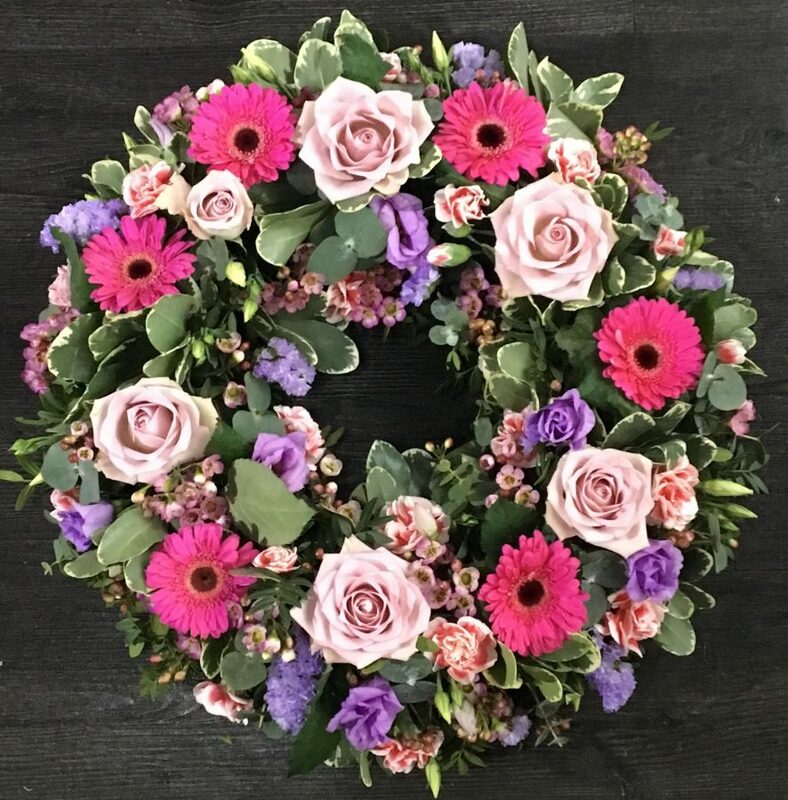 This elegant funeral wreath is made up of contrasting vibrant pink Gerbera mini and pale pink Sweet Avalanche Roses complemented by lilac Lisianthus (Eustoma) and Statice and soft pink wax flower. This funeral wreath can be ordered in a number of sizes ranging from 12′ to 18′. 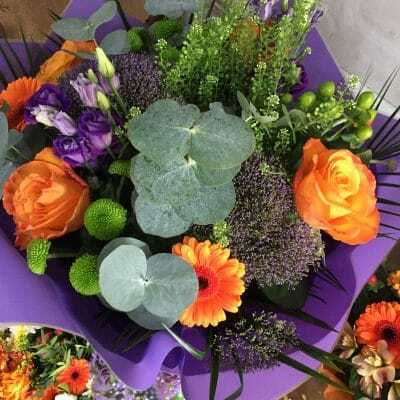 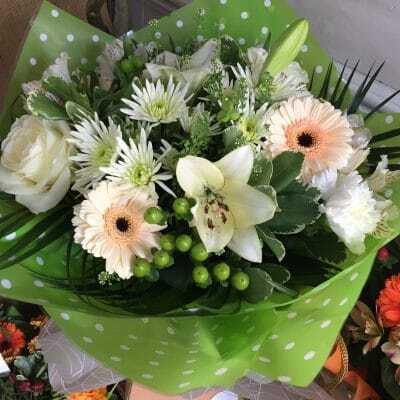 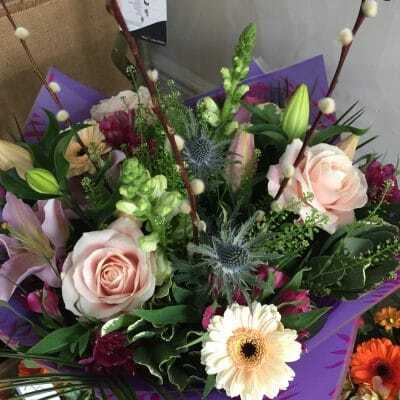 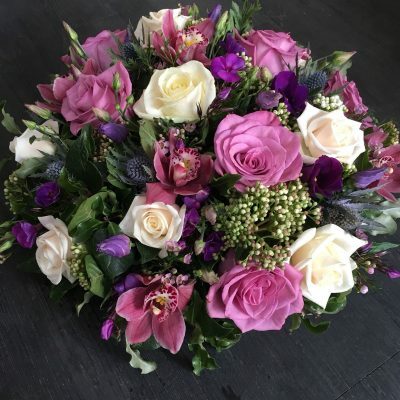 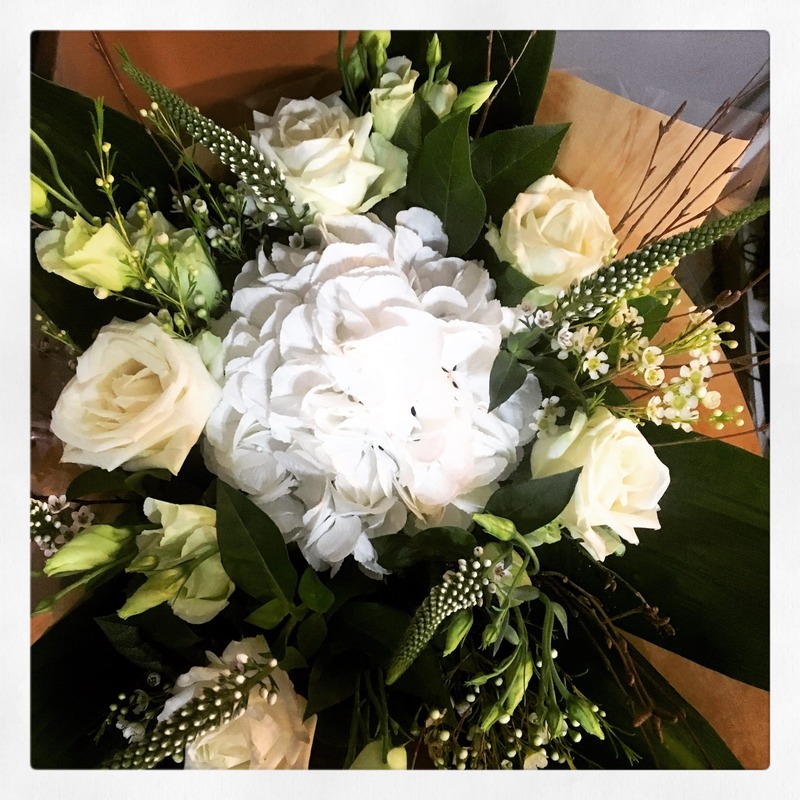 We work closely with a number of funeral directors across Lincolnshire please ensure to add the relevant details in the notes section when placing this order.